Summer is now upon us! Not sure where you are reading this from, but at our head office in Canada, this weather is a far cry from what we had only a few months ago. With warm weather brings an exponential increase in landscaping/construction business all around the world. Due to this, there is a massive increase in compaction right now. One machine that we want to highlight for you is the BR1570 Reversible Compactor. Bartell has been paving (no pun intended) its way into the compaction market over the past few years. Over this time, we have developed the BR1570, which is the only reversible compactor of its size currently in the market. So, what’s the big deal about this little machine? The top 3 features of this compactor are that it’s lightweight, economical, and extremely versatile. THE BR1570 IS LIGHTWEIGHT, ECONOMICAL, AND EXTREAMLY VERSATILE. Even though this compactor weighs less than 200lbs, it can hit with about 3500lbs of force. The BR1570 is very easy to transport with its built-in wheel kit. With the size of this machine you will have no problem lifting it into the bed of a truck, but you will also have a small plate that fits in tight spaces that only a forward compactor could go. When you hear the word ‘economical’, sometimes many different things can pop into your head. The BR1570 is priced very competitive compared to other major competitors. Don’t let the price fool you though. This machine is built to tackle any job that it needs to. 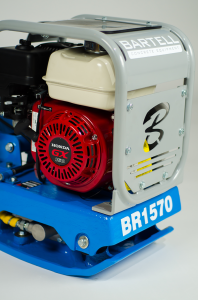 With its high-quality cage and plate construction, the BR1570 Reversible Compactor is built to last. The final major feature of this compactor is its versatility. Because of its size, the BR1570 has the capability to replace many forward plates. This means no more spinning the plate frantically to turn around in tight spaces, but having a controlled machine that can dramatically increase production times. When we referred to the BR1570 being economical above, that was compared to forward plates. This reversible compactor is cheaper than some of the top competitors high-end forward plates. 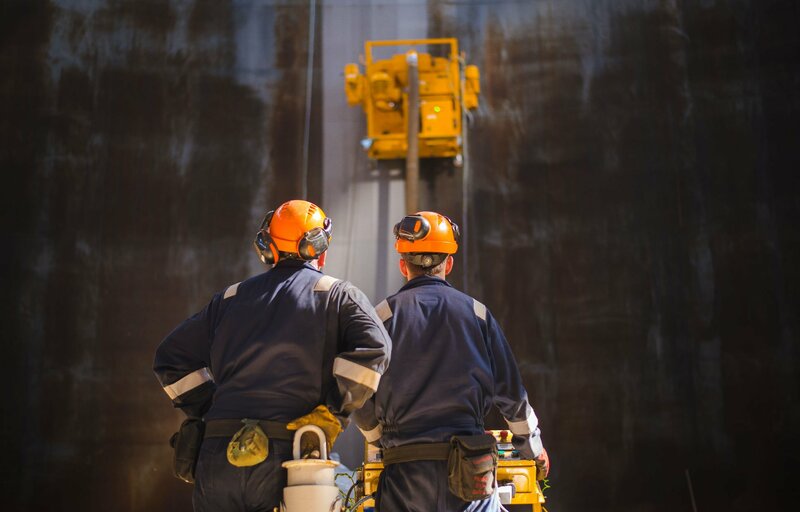 In addition to this, it can replace a rammer in certain conditions. As long as you have a footing or trench that is at least 16" wide, you can use the BR1570 in place of a rammer. It is much easier to operate, hits harder, and is lower in initial cost. Rammers tend to shake the operator aggressively, and they are difficult to control, especially down in a trench. This is why the BR1570 Reversible Compactor is a great option. We hope that you will go to your local dealer and request to try a BR1570 Reversible Compactor. We would love for you to see first hand what this machine can do.